Home » FAQ » How to achieve a good injection mold design? 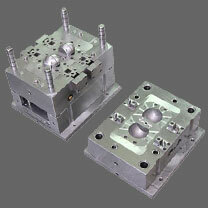 Mold design is a start of success molding processing; an optimum mold design is aim for the best molding performance. The most optimum mold cavities layout. Proper mold base size and guiding way. Provide reasonable injection mold flow and filling performance. Use reasonable shrinkage factors ,especially parts in long length). 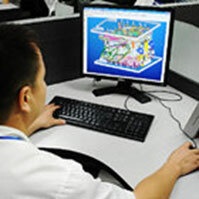 Study the part design in 2D, the tolerance required determine the way you design and machine it greatly. Proper ejection distance, de-molding way. Minimum injection molding cycle time and as less as possible secondary works such as de-gating, drilling. Appropriate gating location, welding line position accepted by the customer. Adequate venting as well as reliable sealing to avoid flash occurs. Minimum scrap rate (most important factor to influence the real cost of injection molding process). Proper selected steel and heat treatment, just fit the demands of the customer ( otherwise it would be called "over-designed"). Minimum clamp force requirements, as less as possible injection pressure requirements. (the injection molding machine required smaller, the injection molding cost lower).